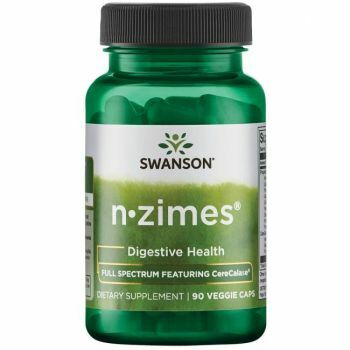 Did you know enzymes are involved with everything from digestion to immune strength? Don't miss out. 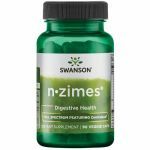 Introducing N-Zimes from Swanson Ultra and National Enzyme Company (NEC). NEC has been blending quality enzymes with cutting-edge science since 1932, and now they bring their expertise to this advanced Swanson formula. Each capsule contains an enzymatic blend unmatched in quality and efficacy. N-Zimes features CeraCalase, a proprietary enzyme complex from NEC that supports the Other ingredients: Rice bran, hypromellose (vegetable capsule), dextrin/maltodextrin.